If your dad loves to read, our next prize in the Dads Rock Giveaway Bash will be perfect for him! The Sony Reader Pocket Edition holds hundreds of books. Its small design with a 5″ display gives you access to many online bookstores. In addition, you can use the Sony Reader to “check out” audio books from your library! I was most excited about using my library to read on my Sony Reader, here is how this program works..
Users must have a valid library card. Log into the Reader software that comes with your product. Once logged in to the Reader Store, you can access Overdrive – the library loan tool. There you can search for your library, put in your card number and a list of available e-books being offered will appear. Choose the book you would like to “check out” and if available it will automatically be placed into your downloads in Reader software. How cool is that? Plus it is easier than going to the library to pick up a book! With small children that is a big plus for me. :: Get yours now for only $149 on Amazon! Sony Electronics is offering a Sony Reader Pocket Edition to one randomly selected winner. I will announce the winners on June 15th. Faithful Provisions Giveaway Disclosure: Sony Electronics sponsored this giveaway by providing me with Sony Reader and one to give away to a randomly selected winner. For more information about Faithful Provisions, please read my Disclosure Policy. 4. FACEBOOK: Follow Faithful Provisions and/or Sony on Facebook– just paste this message on your personal Facebook wall so your friends will see it. Faithful Provisions.com is giving away a Sony Reader for the Dads Rock Giveaway Bash! Stop by to enter http://bit.ly/fp-sony. i love to read i would love to have this. I would be the coolest wife in the world if I won. Have been wanting one of these for a long time. They are great for road trips! I would ♥ to win this. Reading is my passion! Love this – I really need it! This would be great for all the traveling we’ll be doing this summer! this would make such a great gift!!! I have definitely had my eye on one of these readers for some time now. Thanks! This is so much fun. I hope I win. This would be an awesome win. We love books in this house and having them all in one place would be fab! Saving some trees would be a giant plus! I’d love to win the sony reader pocket edition! Ohh…I would LOVE to win one of these!!! The Sony Reader looks awesome! 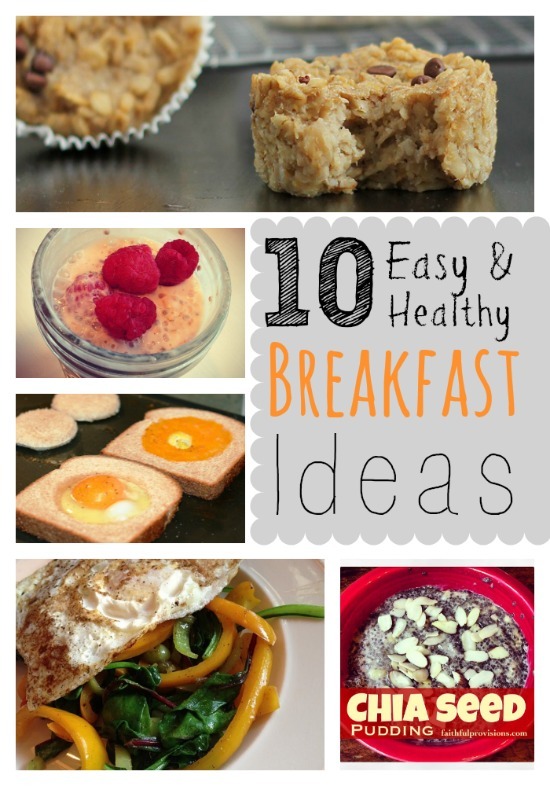 We would love love love this! Our dad would love to have one of these cool gadgets!! Please include us in the giveaway!! I would love this. I follow on facebook and subscribe to emails. I’m a FB fan. Would love a Sony Reader! .-= Stephanie @ Couponing 101´s last blog ..Brookshire’s Deals 6/9 – 6/15 =-. this is wonderful! i’d love to give this to my husband! This would be an awesome gift to give my fiance from the kids. He loves to read! Following both you and Sony and retweeted. Fan of you and Sony on Facebook and posted to my wall. I love this Sony Reader! How cute! I would love to win one of these. It would make it easier to get the books I want to read. I like Faithful provisions on facebook and I posted about your giveway. I love the idea of being able to use library card with it, that is really cool! My husband would love this. He reads all of the time. We would love this! I am having so much fun! This would be super cool! Put me on the drawing list! Hey! I am a fan on Facebook and get your emails! Would LOVE, LOVE, Love this for my hubby who devours books!! He loves to read and would love this! Thanks! I would be soooo thrilled! And I get your awesome emails!! This is AMAZING- would love to win it ! My sweet hubby would love this! my husband has really been wanting one of these! This would make a great gift for Father’s Day! I would love one of these! So would my husband!! We love to read…this would be an awesome gift! we love books in our home! we would love this! My dad reads alot, he would love this! 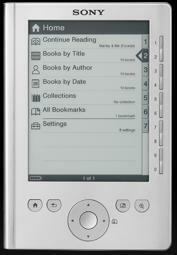 Would love to win the Sony reader – reads EPUB which my library uses. This would be such a nice gift (for me). LOL. I would share with my hubby…maybe. facebook fan of both sites and I shared this giveaway on my fb page. This would be so great for my dad-in-law. He travels a lot and his would make all the flying way more enjoyable. This would be a great way to read some books! Would LOVE to give this to my dad as a father’s day gift! This would make a great gift for my dad or father-in-law. Ooh this would be awesome. We’re all a house of bookworms, so this is super cool. Thanks! I’d love to win this for my fiance! He would love reading books on it. Hope to win this for my loving husband! I’d love to get my hands on a reader. Awesome prize!!! Thanks so much! Would love to be able to use it for library books, and some of the free Guttenberg books. I absolutely love to read! Gotta have one of these! Our whole family would get a lot of use out of this. Maybe even encourage our 12 yr. old son to READ! Ugh. I love to read and this will be great on trips. .-= Laura´s last blog ..Another Free Nivea Happy Sensation Sample =-. waiting at Dr. appts, etc. I love that you can borrow books – what a great idea! This would be so perfect for my husband. He is a stay at home dad and loves to read in his spare time! Awesome giveaway! Hubby would LOVE this one! 6/10 – great giveaway! i have a nook and love it. i’d like to have the ereader to give as a gift! This would be a useful little item to own. Dads Rock and you rock! Would love this in our family! Being able to check out audio books from the library using the Sony Reader is cool! This is a great Father’s Day idea. We love to read in our house! I love reading so this is a great giveaway! This would be fantastic for my hubby when he’s on the road! Would love to get this for my Dad! I’ve heard a lot of great things about these! FB fan of yours and posted on my page! Would love to win this, just imagine all the books I could be reading. my husband and I both love to read…this would be amazing! Thanks! i’d love to have one of these for my family. me – i read ALOT of books, and this would save some $ and time! hubbie – i think this would be great for him to take with him while he travels for work, esp. on intl flights. Awesome giveaway! This would be amazing! Wow I didn’t know you could check out ebooks at your local library how cool!!! Considering how much my husband reads, he needs this!! What a great gift! My husband would love having one of these. My hubby would love this .. every b-day and Christmas I spend a TON on books (an they are very large). My husband is a tech geek so he would think this is cool! Love to read-love to have this! I’m an avid reader and would love this! A dad is a great example for kids and reading. Hubby deserves this…he just brought me ice cream. this seems like a very popular giveaway! My dad and husband would both love this! My dad does a lot of business travel, would be a great present for him. i want to win this really badly!! My husband has been wanting one of these, however our budget just doesn’t allow for it right now. This gift would be awesome!! Oh, man, would I looooove to win this! I would love to have a reader!! I have the Kindle app on my Blackberry but this would be SO much better! .-= Mandi Brown´s last blog ..Savvycents Wallet Giveaway! =-. I love to read so this would come in very handy for all our travels! This would be great for my hubby – he’s traveling a lot more for work these days! I put your message on my FB page! And I’m an e-mail subscriber. My husband does a lot of international travel for work, and has always wanted one of these for the many hours he spends on airplanes and waiting in airports. Thanks! We desperately want one of these! My husband would absolutely love it and he won’t believe it if I won! Fabulous technology. Just love the library feature. I’ve wanted one of these for so long! This wouldn’t be a dad prize, this would be a me prize! hubby loves to read – this would be awesome for him. my e-mail subscription was confirmed! I can’t wait to hear more from Faithful Provisions! This would be amazing for waiting for appointments! I think this would make a great Father’s Day gift for my husband. And the library feature is soooo neat! I subscribe to your page on facebook. Posted this giveaway on my wall. My hubs totally wants one!!! My wife told me about this giveaway and I would love to have a sony reader. Thanks for a chance to win this wonderful reader! I am following you and sony on twitter and tweated http://twitter.com/rusthawk/status/15909564346. I am a fan of you and sony on FB. This would be perfect! My hubby has been wanting an eReader!! I’m so curious about e-readers. I’ve yet to see one in person. I’m someone who always lugs 10 lbs of reading material with me on vacation, so I think I could really like the pocket reader! .-= Stephanie´s last blog ..Pasta with chickpeas and chard =-. So excited about this product. My husband would love this! me too! email subscriber and Faithful Provisions Facebook fan! Would love this!!! Love to read. This would be great. Maybe this would help our 12 yr. old son to WANT to read. :0) Thanks for the chance to win. This would make the BEST Father’s day gift! hubby sure would love this! This is a cool item! Love the borrowing “books” feature! Perfect gift idea for my Mother in law!! My husband is in grad school and has talked about having one of these. It would be a great surprise for him! I would definitely get wife of the year for winning this one. I love to read and have always wanted an e-reader! would love to have this to keep up with all my reading. looks amazing. This would be great to read all our books on! Thanks! I have been wanting one of these for so long! This would be so great I’ve been wanting one for a loooong time! This would be perfect so I could stop lugging all my big books with me to work! I MIGHT share this with my husband! I’ve been wanting this since it first came out. What a gadget! What fun…Hubby would be surprised to get this if I win! I have been really wanting one of these! Thanks! This is any avid readers dream come true! My mom would love this…my husband too! I have wanted one of these for ages! I really really need this! Sure hope I get this one! Much easier than hauling books around. I am in grad school and do a lot of reading. This would be super handy for me. Thanks! my hubby has been wanting one of these!! What a great little gadget. Hard to believe it can hold up to 350 books! Like you both on Facebook and posted to my wall. My daughter in college would love this. My husband has just gotten back into reading after a lengthy illness so would love this. These devices are so great! My hubby would ♥ this big time! I would love this! What a spacesaver! That is neat! We could both use that! This would make a great gift! Thanks for the awesome giveaway! Love to read, this would be great! These work with books from my library. That’s so cool! I still love books I can touch, but this would be amazing! Hopefully this would inspire our 12 yr. old to READ more! Thanks for the chance to win! My husband would love to have this especially when we are in the hospital next month having a baby. Shared and follow on FB! We would love to win this ! Sure I hope I get this, would make reading soooo much easier! This would be so nice. I could take it everywhere with me. Awesome giveaway! Hope I win…hubby LOVES these things! We love to read in this house. Would be fantastic for him! Thanks for sharing the info about the library – that would be great! We would LOVE to have this!! Twitter follower and here’s my tweet! My husband would love to use this when traveling. I have always wanted to purchase one of these since I am a HUGE reader! It makes long bus trips to games and tournaments go by much faster, and this would be good when packing all of my volleyball gear. Awesome giveaway.. Our family loves books.. Thanks for the giveaway. I would love to have a sony reader. Would love to have this!!!!! I want this one more than any other giveaway! My husband and I are so eager to get an ereader. This gift is made for us. Pick ME!!! My husband loves to read, so this would be great! Would love to have one of these!! I will be honest…I want this for me. THank you again for doing this giveaway! Have a great weekend! I subscribe to the RSS feed!! I follow on witter and tweeted! I so want to have one of these, they look like so much fun! I didn’t know about the library card! My bday is June 16th…just a hint! 😉 lol. Thanks for the chance. That would be the coolest gift! Thank you! I subscribe to your email digest. Posted to my personal Facebook page. Need this for my dad. sunday this would be GREAT! I would love to have one for work to be able to have all my books on something small that I can carry. My dad passed on his love of reading to me. I would LOVE to win this for him! Cool gift for Hubby! Thanks, Kelly and Sony. 6/13 – i have a nook which i love, but it tends to get hung up – maybe the sony e reader would work a little better! I have a pile of books in my bed, on my nightstand, on my husband’s nightstand, in the car, in the truck, in the living room (and 2 cieling shelves), in the cabinet in the kicthen, on the shelf on the kitchen, in both kids rooms, I’m certain if you look in the backyard you will find some- there are definately plenty in the attic and shed. Yeah we love books! Day 3- I am an email subscriber. my husband would go nuts over this. Avid reader and Facebook fan. This would be a great gift for a dad who is going back to school! Download textbooks…awesome! This is exactly what my husband wants for Fathers Day! We would love this; thanks ! We would be thrilled to win this reader!!! This would be wonderful for taking to the park while the boys are playing or just curling up with in bed. Wow, My husband Loves to read this would be an awesome gift for him. too cool, dad was JUST telling me about this! I have heard that these are wonderful! Would love to give it a try! We would love to win this! We love to read, so it would be so nice to have! Thanks for the great giveaway! I’d love to win this for my father in law. He is from Italy but moved here and has taught himself English…he reads like crazy as a way of learning. He’s amazing. I also subscribed to your emails. Thanks! This would definitely be for my husband… he would LOVE this!! I love to read and this would rock! The Sony Pocket Reader would be a big hit in our house. I’d give it to my husband, but he’d have to let me borrow it when I went to pick up the grandkids from school, practice, etc. .-= Jennifer McLachlan´s last blog ..July Giveaways! =-. I am thinking about buying a Kindle but I would love to have this to read the many books that I love. I like the Sony brand. My husband is a book worm & would love one of these! I love to read, (when I can find the time!) and the local library thing on this looks so cool!! really, really, really would like to win this! yes, i’m an email subscriber! This would be a great father’s day gift for my husband!!! I would absolutely love to get this! I’m an email subscriber to your site. This would make the coolest Father’s Day ever! This would be awesome to win :). yay! have been wanting to try a reader! This would be the best ever gift. Reading is such a big part of our life. He would love this as he has been mentioning one of these forever! However, he’d be thrilled to not have shelves cluttered with books(because reading is one of my top 5 ways to unwind). My husband would be thrilled to have all of his current readings in one spot and not have to lug books to work! I love this sony reader! This would be awesome to win. Thanks so much for the chance to win! I would love this! Especially being able to read library books! This would be great for my husband who travels often. Thanks for the chance! LOVE this prize! Email subscriber, too. Thanks again! I would love to try this reader! Small and easy to keep in your bag at all times. Would love to win this for my husband! I follow you on facebook and twitter! Dad has been talking about how nice one of these would be, so many books in such a small device! Hope we win it! I would love to have this to take along everywhere I go!!! I just tried to sign up for the email list and it won’t work. The link on this page is coming up as page not found. I might keep this one for myself! Love to read, so does hubby. This reader would be perfect for holidays! This would be great for all of the traveling we’ll be doing this summer. I’d love to win, both my dad and I love to read, and he has trouble with his vision so if this allows him to change the font size,it would be a huge help for him. This would be an excellent thing to have, and unlike books, it would not weigh down my bag! This would be so cool to give to my dad! Following you on twitter and tweeted tonight. This would be awesome to win for my husband. He could take this anywhere since it is so small. Great gift! this looks very awesome. I’m hopeful. i have been wanting this for so long. This would be a great gift for a great Dad and Grandfather…now that he has retired and hasn’t quite figured out what to do with all of his free time! Thanks for the chance to give him an idea! I told my hubby I’d get rid of a lot of my books if I could have one of these. That would be a great father’s day presesnt for him- less clutter!! http://poorpartyof5.blogspot.com has your button on my sidebar! Facebook follower. My hubby loves to read! Email follower too! Great father’s day gift.